Global Academy of Finance and Management (GAFM), recognises ‘Introduction to Fintech’ designed by the University of Hong Kong (HKU) for its certification, ‘Certified Fintech Professional’. HKU is the territory’s oldest institute of higher learning and also an internationally recognised, research-led, comprehensive university. 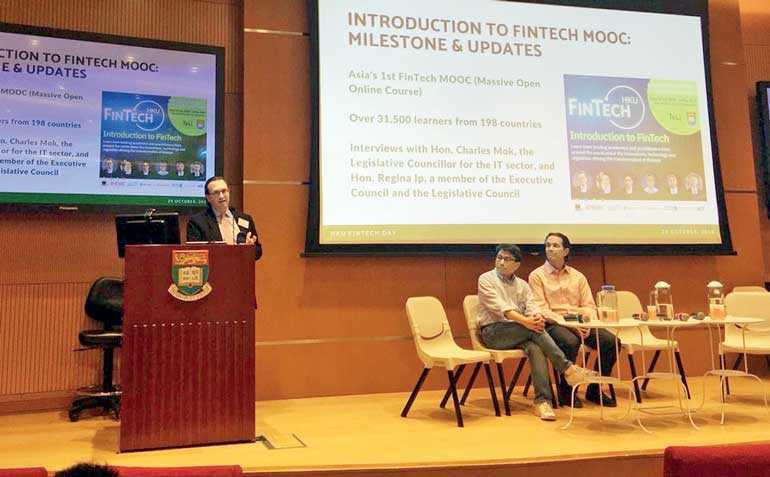 The University of Hong Kong has developed its leadership in FinTech. It is ranked 1st globally for FinTech Regulation Research. GAFM, a Colorado, USA based accredited global graduate society for management and finance with membership over 150 countries also recognises ACBSP accredited business school programs with a major or concentration in management, economics, risk, accounting or finance. ACBSP is a Kansas, USA based organisation offering accreditation services to business programs. Fintech Association of Sri Lanka (FASL) is facilitating ‘Introduction to Fintech’ of The University of Hong Kong, in Sri Lanka.